Thank you for your willingness to partner with us in our goal to create more space for kids, teens and adults! 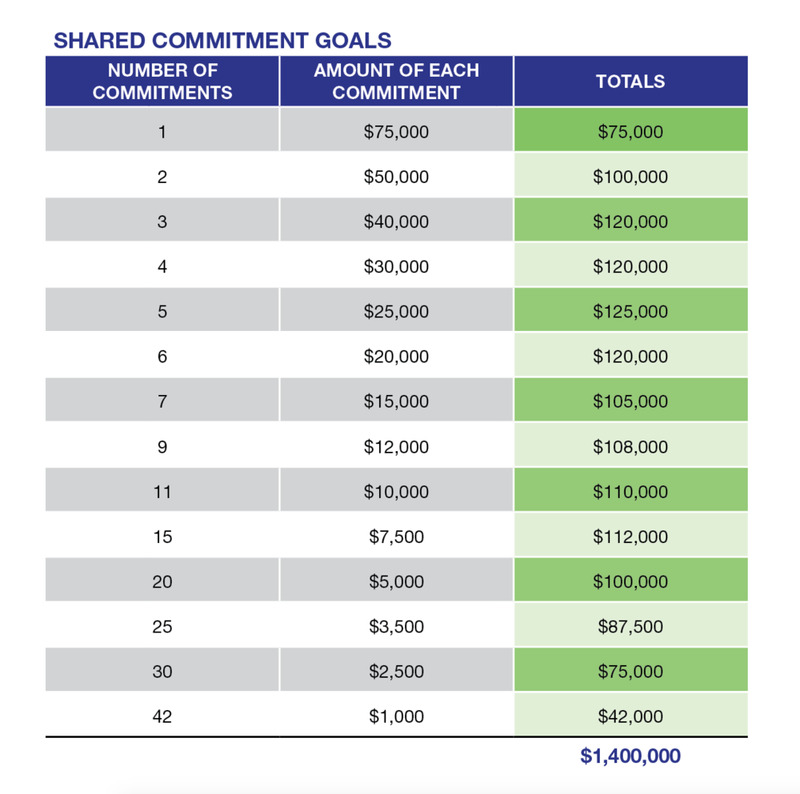 This chart depicts the number of households we need to give at each level to reach our goal. Your pledge amount is above and beyond your normal giving and is to be contributed over the next 3 years (April 2017-December 2019). What you are planning to give between April 2017 through December 2019. Your commitment is an intention to give only. If the amount of your gift needs to change at any time, please let us know.